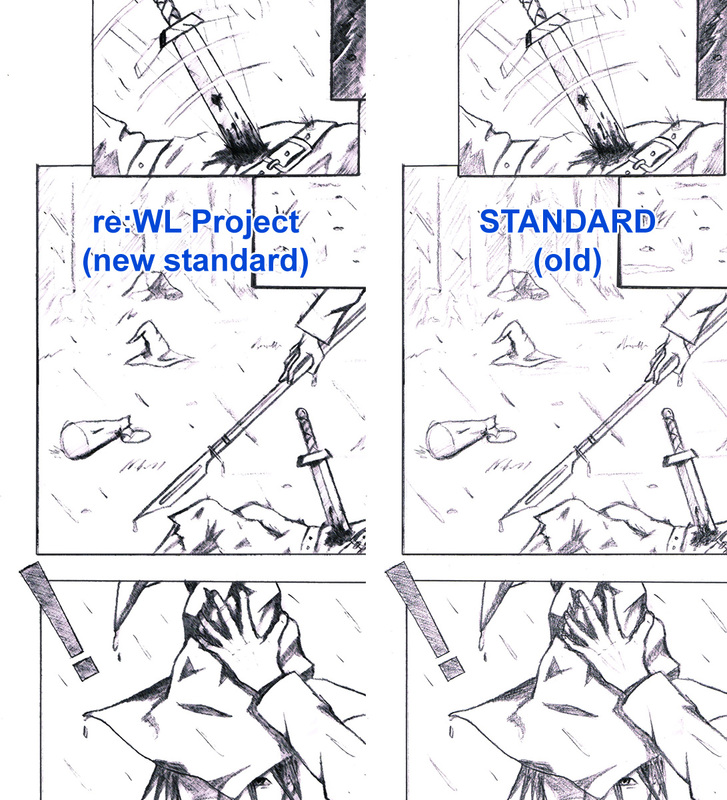 re:Warrior Legend is a retouch project where I'll go over every single page and filter up the artwork for a little smoother style as well as fixing spelling errors. The reason for this is to expose more of my Manga online in other channels like Tumblr, Instagram and so on. Warrior Legend chapter I-III will be fixed. I will later this week get back to you on my Tumblr and Insta. 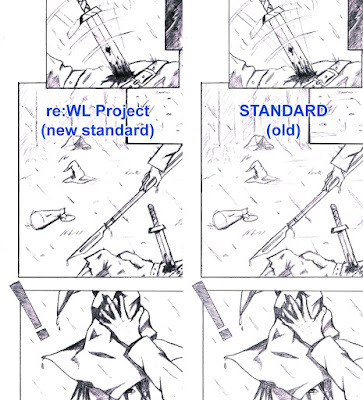 Here is a comparing picture of how the art style will change for the re:WL. Please click the picture and study with a closer look!